Dr. Mount is certified by the American Board of Plastic Surgery and the American Board of Surgery. 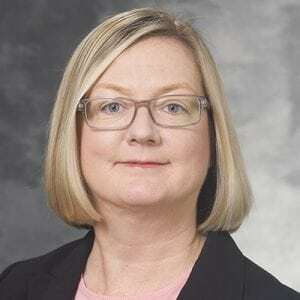 Her clinical specialties include treatment of infants and children, particularly those with major facial birth defects which include cleft lip/palate repair, correction of skull shape abnormalities, and speech disorders (hypernasal speech). She is also interested in craniofacial surgery, microsurgery, orthognathic (jaw) surgery, as well as aesthetic and cosmetic surgery, primarily limited to the face. Dr. Mount provides a wide range of services including Botox, Brow Lift, Face Lift, Filler Injections, Lower Eyelid Tuck, Mid-face Lift, Mini-face Lift, Reconstructive Rhinoplasty, Rhinoplasty, Upper Eyelid Tuck. Dr. Mount’s research interests include distraction osteogenesis, outcomes and indications for free flap reconstruction of craniofacial defects in children, and clinical outcomes of cleft surgical repair on skeletal growth, dentition, and speech. Comparison of Outpatient and Inpatient Pediatric Rhinoplasty: Results From National Surgical Quality Improvement Program-Pediatric, 2012-2014. Pediatric Obstructive Sleep Apnea: Consensus, Controversy, and Craniofacial Considerations. Atlas of Anatomy, 3rd Edition. The Current State of Global Surgery Training in Plastic Surgery Residency. The Imperative of Academia in the Globalization of Plastic Surgery.